The graph above illustrates the spread of seats in the Greek Parliament following the recent general election in the country. Leaders of the three largest parties, New Democracy, SYRIZA and PASOK have all in turn been asked by the Greek President, Karolos Papoulias to try to form a coalition government, but to no avail. In a last ditch attempt by the President to form a government, he has now approached the leader of the Democratic Left party for his support. It looks unlikely that the Democratic Left will join any coalition that does not include Syriza, and fresh elections in June now look to be inevitable. New Democracy with PASOK failed only narrowly to reach the 151 seats needed for a majority in the Greek Parliament, but this was largely down to the idiosyncrasies of the Greek electoral system, whereby the largest party after the election are rewarded with a 50 seat ‘bonus’. In reality New Democracy and PASOK, the two coalition partners who are responsible for accepting European Union (EU) austerity policies, only garnered about 30% of the vote, with the rest going to anti-austerity parties. The electoral impasse is caused by SYRIZA not agreeing to be part of a government that is committed to the ‘Memorandum’ deal on austerity policies for Greece with the EU. This is a perfectly reasonable stance from a party that stood in the election as against the austerity measures and opinion polls suggest that their popularity is increasing, with three polls showing they are likely to be the largest party after a new election, with support perhaps as high as 27%. SYRIZA is a coalition of left wing radicals and greens, covering some fifteen different political parties and groupings and has clearly been the main beneficiary of anti-austerity sentiment in Greece. An ecosocialist source inside SYRIZA, Tasos Pantazidis, predicts that after new elections SYRIZA will be able to form a government with other left forces, including the KKE (Stalinist Communist Party) who have resisted all talk of coalition so far. Other smaller parties that did not gain the required 3% of the vote to qualify for seats in Parliament, such as the Greens, ANTARSYA and the PASOK breakaway Social Agreement party may also be brought into the SYRIZA coalition. The opinion polls indicate that their voters are voting with their feet anyway and throwing their lot in with SYRIZA. SYRIZA say that they want to remain in the Euro (opinion polls show something like 70% of Greeks want to remain inside the Euro), which is the popular view, and to renegotiate the bail-out deal with the EU and IMF. This is a game of high brinkmanship, where SYRIZA are gambling that the EU will be more worried about the effect on the Euro itself caused by a Greek default, than offering Greece a better deal. SYRIZA would be wise to have a plan B, because it looks as though Greece will need to leave the single currency, to begin to sort out their problems in the medium term. Of course all of this electoral uncertainty has led to a fall in the value of the Euro, and the political earthquake it has unleashed in Greece has sent shock waves all through Europe, coinciding with the election of Socialist party candidate Francois Hollande to the French presidency on a largely anti-austerity platform, if it is somewhat vague about actual detail. But what seems to be clear is that for the first time in 30 odd years the neo liberal political/economic consensus is being challenged in Europe which is likely to have an effect on attitudes in the UK, where austerity policies have been promoted with some relish by the right wing coalition government of Conservative and Liberal Democrat parties. 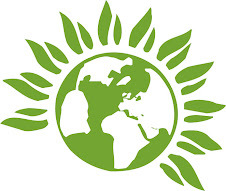 The Labour party, as is its want these days, has suggested only an ‘austerity light’ approach to the UK’s debt problems, with only the Greens and far left parties opposed to austerity full stop. Labour may now feel they have more cover for a more radical stance, with events in Greece and France (and to a lesser extent Spain and Italy) moving the debate from a dogmatic no alternative to austerity policies to a more expansive strategy for economic growth. The shock waves have even reached Germany, where the ruling Christian Democratic Union (CDU) have suffered big losses in regional elections in the country’s largest region, North Rhine Westphalia. The CDU vote fell by 9% with the Social Democratic Party (SPD) and the Green party expected to form a new coalition government in the region. Are we about to see a new epoch emerge in European politics, where the crazy casino capitalism of recent times is thrown into the rubbish bin of history? I do hope so, but let’s not get carried away just yet, there is long way to go, but at least now there is chink of light at the end of this long dark tunnel. Graph illustration above from the BBC. Although it's great news that Hollande in France and Syriza in Greece are providing an alternative to austerity, there is still the fundamental problem that neither political party seems to raise attention to how money is created - namely, that 97% of money creation is in the hands of private banks. This means that money is debt, and both austerity and growth are dead ends unless we democratise the money system. See the 97% Owned documentary http://www.youtube.com/watch?v=d3mfkD6Ky5o&feature=plcp or read Debunking Economics by Steve Keen to learn how to solve these issues.